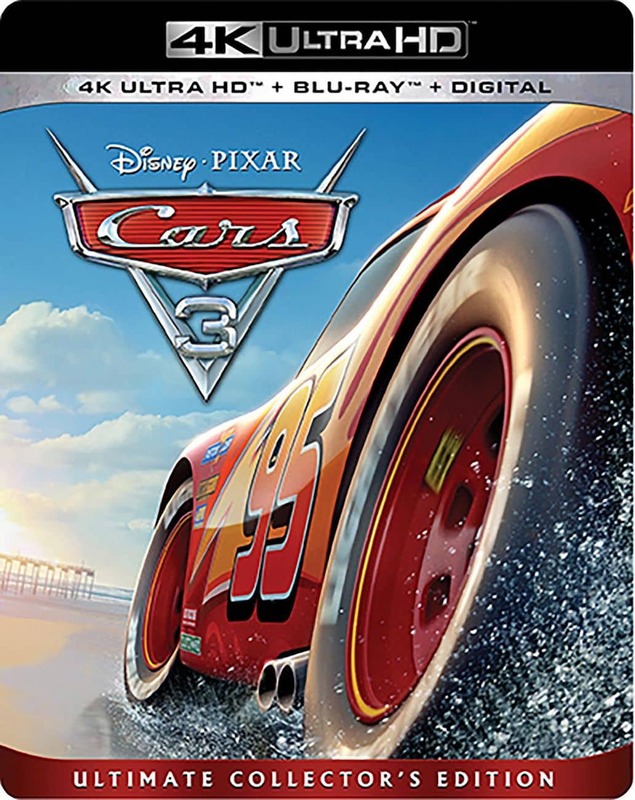 Cars 3 is available now on digital HD, Blu-ray and DVD! Buy it today! It's no secret that I'm a big fan of Cars 3. 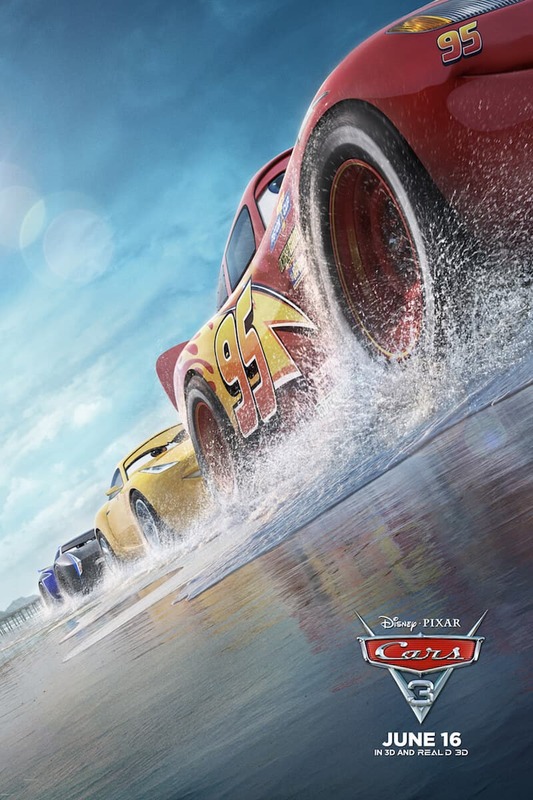 I think it's the best Disney・Pixar Cars movie out of the three. If you're on the fence about seeing it, I promise you'll like it! Related: Read my original Cars 3 review that I wrote after seeing it at the red carpet world premiere of Cars 3! I think one of the very best things about buying and watching movies at home is the bonus features, and Cars 3 might have the best bonus feature of all: Miss Fritter's Racing Skoool! 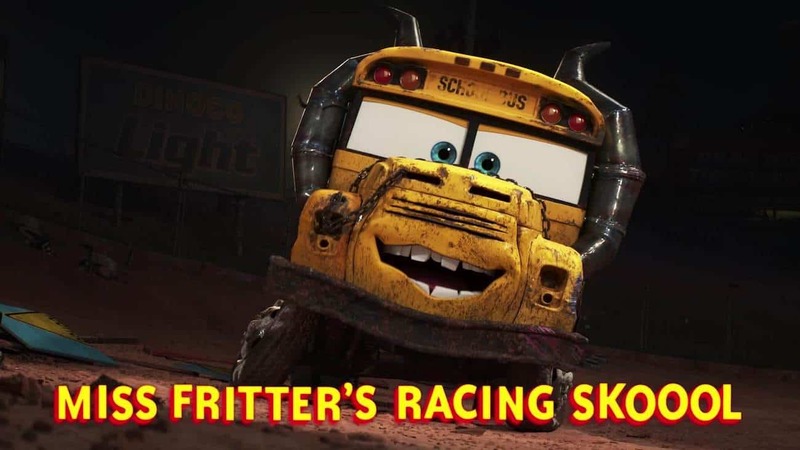 Miss Fritter's Racing Skoool is an animated short featuring Miss Fritter (voiced by Lea DeLaria) and other characters from Disney・Pixar's Cars 3. Theatrical Short: “Lou” – A toy-stealing bully ruins recess for a playground full of kids, but one thing stands in his way: the Lost and Found box. Let’s. Get. Crazy. 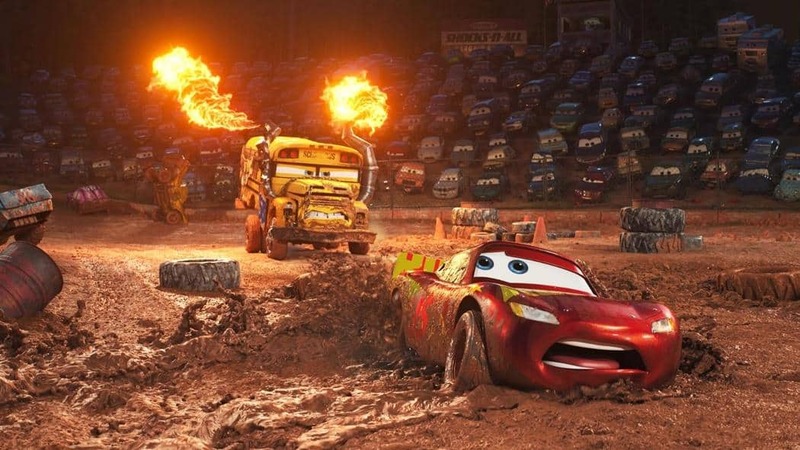 – Hosted by Lea DeLaria, get schooled in the world of demolition derby, the rules of figure 8 racing, and how Pixar puts the crazy in the Thunder Hollow Crazy 8 races. Legendary – A historical look at the racing legends Wendell Scott and Louise Smith, whose tenacity and perseverance got them into the races when they weren’t invited. World’s Fastest Billboard – Blink and you will miss all of the graphics and advertisements created by Pixar’s Art team to make the ”Cars 3” world as believable as possible. Cars 3 cast interview: Humor and wisdom from Owen Wilson, Cristela Alonzo, Kerry Washington and Armie Hammer. Cars 3 cast interview: Nathan Fillion, Larry the Cable Guy, Lea DeLaria and Isiah Whitlock Jr.
Cars 3 Gift Guide: The best Cars 3 toys and books. Announcing the #Cars3Event Disney press junket. Jay Ward and Ray Evernham: The Experts of Cars 3. Pixar's Rules of Storytelling from the Director of Lou.